Not long ago I was wearing a Youth Volunteer Corps (YVC) sweatshirt at school, and someone asked what it was. When I explained that YVC is a network of youth volunteers, the first thing he said was, “Why would you do work you don’t get paid for?” That’s a great question, one that I had weirdly not thought about before. I have been volunteering from a young age when my parents would take me to soup kitchens with my church. Eventually in middle school I had been volunteering for a while and decided to join the volunteer club there. 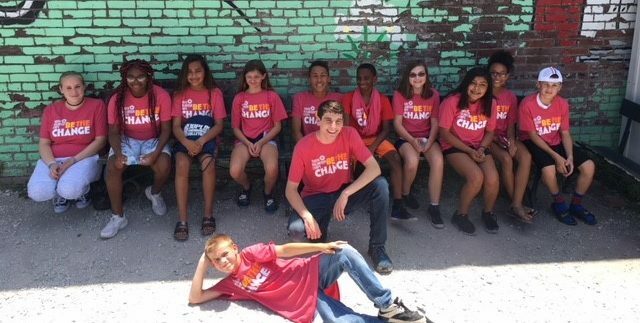 In 7th grade I first learned about YVC through their summer of service program, and within the first hour on the first day of the week-long project, I fell in love with YVC. I went on mission trips, and kept volunteering whenever and wherever I could. I continued to work with YVC through middle and high school, joining Youth Advisory Board (YAB) and International Youth Advisory Board (IYAB), and in my freshman year I joined my high school service club, which I am now president of. For me, service has always just been a part of my life, and I had never really given much thought to why I do it, it was simply a part of my life. Now as I prepare to head off to college next semester, I could use all the money I can get. So why am I working for free? Am I being ripped off? I had to take a step back and think about this for a while in order to come up with an answer, and it honestly bothered me a bit that I had never given this much consideration before. After some deliberation, I realized that the answer is quite simple: it allows me to see the world. I see the parts and people of my community that would have otherwise been hidden from me by circumstance and privilege. I have been fortunate enough to have the memory of watching a patron sing at a soup kitchen in downtown Kansas City, and I remember she had such a beautiful voice and a kind spirit, which I never would have been able to experience otherwise. I also got to hear the experiences of a man who was once homeless, and his stories of the struggles of homelessness and life on the streets exposed me to a new perspective that I could never have heard outside of the realm of community service. I have gotten to meet animals that have been abused and neglected, and learn how to help and comfort them. I have met individuals at a home for the elderly and gotten to hear their stories. Through them, I have learned of wars and peace, of love and sadness. They are some of the most lively people on the planet, with the sweetest senses of humor that I might never have met. I have tutored children, and though I may have helped teach them math and reading, they helped to teach me creativity and joy. They sparked something greater within me, and inspired me to find my inner child at the times in my life when I felt most stressed. Through volunteering, I have been blessed with many opportunities to see the world through the eyes of others, and this has made me a more compassionate person. In everyday life I find myself expressing greater empathy and searching for new ways to see the world, and without this perspective I truly believe that my life would be too dull to bear at times. So, as it turns out, I am getting paid for my work. I am getting paid in memory and experience, in empathy, kindness, and a renewed passion for life that has helped me through hardships. Most of all, I have been paid in love, for the world and its people, for my life and my circumstances. Service has imbued me with a passion and dedication that I doubt I could find elsewhere, and this is more than enough compensation for my work. Zoe Thompson is a senior in high school in Kansas City. She enjoys volunteering, reading, playing the cello, and playing with her golden retriever. “What should be the last song we should sing in the van before we leave for the airport?” asked Becca. I heard someone in the back rows suggest Uptown Funk. She instantly loaded the song up on her phone and we heard the signature intro play through the van’s speakers. All of us sung at the top of our lungs as we waited for Greg, our Youth Volunteer Corps (YVC) program director, to come back and hand the van’s keys back to the rental place. The crew I got to sing carpool karaoke with at our service project in Houston, TX, was comprised of our program director, Greg, our Repair the World fellow, Becca, and volunteers Jessica, Winnie, Brian, Barry, Hannah, Celine, and Qinlan. Although it may seem that we have known each other for ages, I actually only knew Jessica, Winnie, Greg, and Celine from previous years with YVC. In the summer of 2017, if you asked me who Becca, Barry, Hannah, Qinlan, and Brian were, they would be complete strangers to me. This is our story. In July of 2017, I was messaged by Greg, asking me to join the Youth Advisory Board of Greater Philadelphia and represent my high school. After consulting with Jessica and Winnie, who were already on the Board, I gladly accepted the invitation. During my first YAB meeting, I met Brian and Qinlan formally for the first time. I recognized Brian from YVC service projects, but I had not known much about either of them. After a couple of hours at the Repair the World Workshop discussing potential projects for the coming school year, we were finished with our meeting. At our next meeting, we were about to finish our conversations when Brian suggested, “Hey, I’m hungry. You guys want to go get food soon?” Everyone nodded. As we got up to leave, Qinlan told us that she was going to Chinatown for food and anyone was welcome to come along. Brian smiled and exclaimed, “Let’s go!” After some thought, I said, “Count me in.” Winnie and Jessica had the same idea. That day, we all had a nice time eating bowls of pho and cups of rolled ice cream. By the end of August, we had a structured plan for the start of the 2017-2018 school year but had yet to start executing it. In the closing days of my 2017 summer, we were introduced to Becca. She would be working closely with Greg and the Board, making sure our plans were implemented properly. Although I didn’t have summer to get to know Becca, our YAB meetings and YVC service projects really showed off who she was as a person. We clearly saw her passion for community service. Throughout my junior year of high school, I had a great time volunteering with Becca. She made sure every volunteer had a smile on their face during our projects and had great solutions to any planning problems the Board encountered. As the school year progressed, Becca helped YVC Philly developed into a much more structured system and never seemed to disappoint anyone. A couple of weeks after the end of my junior year, I decided to go to drop by the Workshop to see if I could help out with planning the monthly service-learning units for the next school year. I knew Greg had brought on Jessica, Barry, Qinlan, and couple other people as interns to help with the process. Walking in, I recognized Jessica, Barry, and Qinlan working on their own laptops. Looking around the room, another person caught my eye. She happened to be the only one on a 2-in-1 laptop and a stylus pen. A few minutes later, I learned that her name was Hannah and that she was also one of Greg’s interns. During our food break, Hannah pulled up a funny moments video of the TV series The Office, resulting all of us had a great laugh along with our meal. When I learned that she would be coming along for the Houston service trip, I knew I was going to have a great experience in Texas. The YVC service trip to Houston, Texas was a project where our YVC partnered with Repair the World and the St. Bernard Parish to help provide disaster relief to the families affected by Hurricane Harvey. Despite the storm hitting the area one year before, there was still so much work to be done on the ground. Over the course of three days, our group worked to lay floorboards and tiled the floors of two affected homes. All of us worked our hardest and became covered in mosquito bites. I was grateful to be on this trip not only for the work we did, but also for bonding experiences I had with both old and new friends during the trip. One night, Becca decided to lead our group to a Texan BBQ restaurant for dinner. I remember Brian getting a nice meaty pork sandwich for his order and suggest that all of us get some root beer to go along with our meal. Qinlan got the same thing, but when she saw that the place had a self-serve tray of pickles she tried to fit as many as possible between the meat and the top bun. Barry had got a small mountain of meat and a loaded potato… but still wanted more. If someone was full but still had food leftover, Barry probably finished it for them. At our temporary home in Houston, I brought out the video game Just Dance and got Barry, Brian, and Hannah to dance with me. With every song played, the four of us laughed while showing off our moves – even if we were pretty sweaty afterward. At the end of the day, I enjoyed it when Becca would gather all of us up to have a group conversation. In addition to talking about our plan for the next day, it was a special moment for everyone to reflect on their experiences to others and for us to celebrate our achievements. As I look back on this trip more than half a year later, I feel like the experience was more than just performing impactful service and having fun times with people I love – the disaster relief project was an encapsulation of all the personal progress I had made with YVC in the past year. I gain so much knowledge from being a YAB member, and I also gained some new friends. I am glad to say I have served alongside them. Without that year in my life, I would not have known things like Qinlan’s affinity for pickles, Barry’s constant hunger, Becca and Brian’s passion to put smiles on the faces of those around them, or Hannah’s peppy and positive attitude. It didn’t matter if we knew each other for eleven months or for a few weeks, we were still able to sing karaoke together in that rental van. I am a proud member of YVC Philadelphia and have been volunteering with Youth Volunteer Corps since my freshman year of high school. I love meeting new people and I am not afraid to get out of my comfort zone. While I enjoy going for that morning run or playing a game of badminton, there’s a chance you’ll find me snuggled up in a corner binge watching TV shows like How I Met Your Mother. After high school, I hope to study engineering in college and to continue to help out my community through service. I was just an average, mopey, sixth grader. I was involved in nothing special. I partook in no sports and I wasn’t engaged in any after school clubs. I just went to school, came home, did my homework, and went to bed. My life was boring and uneventful. Then, one day I started to spend time at my local Boys and Girls Club. This was the moment where my life changed for the better. After going to the Club for a couple of months, the Youth Volunteer Corps coordinator talked to me and my parents about taking my time and going to projects. Given that I had a shy personality, I had absolutely no interest in participating in spending time with senior citizens at the retirement home. However, my parents convinced me, and I decided to go. It started off horribly. I ended up missing the van that gives us rides to the project, so they had to come back and get me. It was super embarrassing, and it made me even more shy to my fellow volunteers. I’ll be honest, the project was slow, but I could tell the difference that I was making. By the time we left the retirement home, I could tell that all of the residents’ days had improved. It made me realize the impact that little things can make. I have now been volunteering with YVC for over four years, participated on three Youth Advisory Boards, and am now on the International Youth Advisory Board. It has led me in such a good direction for life. YVC has given me so many gifts, I cannot thank the program enough. I can now speak without being shy, and I have the knowledge to help when help is needed, and even when it is not needed. I have met so many new people and have made so many new friends. After going to YVC Summit, this last November, I expanded my idea of how many people this organization has impacted. Youth Volunteer Corps has given me a drive to get work done that I would never have had without it. It has taught me that even when you miss the van, you can still get work done. Hi my name is Brett Budnik and I am from Alpena Michigan. I have been volunteering with YVC Alpena since I was in the sixth grade! I am currently a student at Alpena High School. YVC has really helped me be able to learn more about my community and its needs. I enjoy bike riding, swimming, and hanging out with my dog “Bubba”. Alpena is in Northeastern part of the lower peninsula in Michigan. I have lived here my entire life, but boy we sure do have cold winters! I am honored to be able to be a part of IYAB and have the chance to learn more about other YVC groups! Youth Volunteer Corps (YVC) programs all over the U.S. and Canada are changing youth’s lives through volunteering every day. 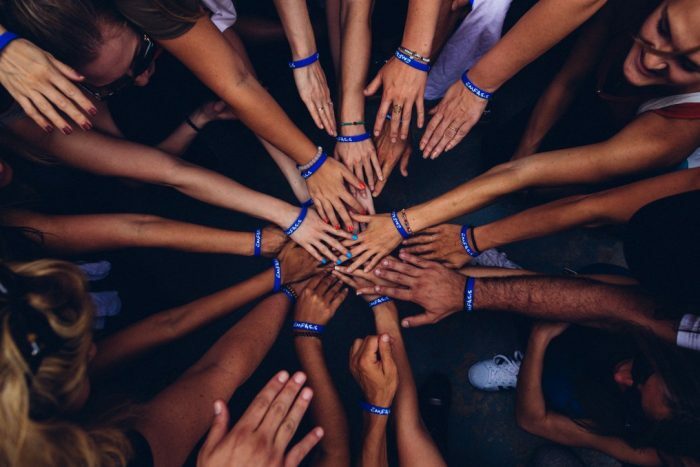 Some of these programs stand out as examples for the rest of the YVC network to follow in the way that their programs engage youth in service. Each year, YVC Headquarters evaluates affiliates to discuss together how they can better serve their communities. A few of these affiliates go above and beyond in leading the way for the entire YVC network. Affiliates who earn 90-100 points in their evaluation receive a Gold Level rating. They receive a certificate honoring their accomplishment, network-wide marketing recognition, 20% off of their annual affiliation dues, and have access to gold-level only grants. YVC regularly evaluates youth participants and programs, looking to learn and improve along the way. Last year, we published an independent study about youth volunteers in our network and the skills they develop while volunteering with YVC. This exploration ensures YVC remains current with the needs of youth across North America. When I first applied for the job and interviewed, I didn’t initially think about the fact this could be FUN! I figured it would be a job with the weight of responsibility that comes from ensuring 10-15 kids leave the project every day with the same number of fingers and toes they came with. While that brings pressure, there’s also a whole other side to being a program director. 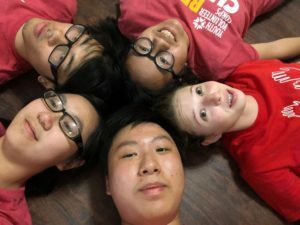 After the initial jitters of figuring out new responsibilities, I quickly realized the ages of youth that participate in Youth Volunteer Corps (YVC) are the best to just let go and have fun with. The diversity of ages in each volunteer group also makes for some fun laughs. It’s been fun to watch the high schoolers laugh and make jokes with the middle schoolers, and vice versa. Once I started having more fun on a project myself, I noticed the youth on the project started to as well. They were excited about the morning ice breakers and couldn’t wait to play energizing games throughout the day. My favorite memory from last summer was when our volunteer group found two old wheelchairs at the mission we were serving. It was a scorching hot day and motivation was lacking. With the permission of the mission, we threw together a wheelchair race in the alley behind the building. The kids had a blast and cheered each other on as they competed to cross the finish line first. The best quality a program director can have is flexibility! If you lack it, you’ll quickly learn it. I learned that to best serve the organizations we worked with, I had to be flexible in the expectations of how the day should flow. Even if I put together a sheet with a detailed scheduled, things were surely bound to change. Working with youth teaches you a lot about being flexible! You might think kids are showing up to work the whole day, but you’ll soon realize an 11 or 12 year old may burn out! I had to adjust accordingly and throw in extra energizer games throughout the day to keep kids engaged. It might not have been in my plans, but it helped keep them going, which is what matters at the end of a fulfilling day. Since childhood I’ve always found opportunities to volunteer in my communities. Not only did it make me feel good that I was bettering the community in which I lived, but it also helped me appreciate the vital work put forth by non-profits. My experience as a program director for YVC reinvigorated those feelings once more. I grew an appreciation for the people running these organizations as I was in daily contact with their directors. I saw firsthand the numerous hats these people wear since funding for more jobs is usually lacking. It was a joy to see the volunteers YVC provided for those four amazing days bless these organizations by completing projects they didn’t have time to finish themselves. Through my service as a program director, I’ve seen firsthand the personal growth that comes when youth volunteer. They grow in their compassion towards others, and gain the invaluable understanding of what it means to work hard. One of the most powerful moments in my summer was when one of the girls expressed to the group that she loved finally feeling accepted and part of a team. She’d come from difficult life circumstances, evidenced by fear and nervousness written on her face that first day. The joy she expressed on her face by the end of the week was worth all the frustrations I’d experienced with that particularly energetic group of youth. Growth blossomed and YVC had watered the seed by proving her an opportunity to move beyond her comfort zone to serve others. As a fresh Missouri resident when I applied for the job of Joplin program director, I had never heard of YVC. On paper, it seemed an awesome idea – encouraging youths to invest in their communities by setting up volunteer opportunities specifically tailored to them. The staff at the YVC headquarters are so passionate about what they do, and that passion quickly possessed me as well. They honestly do everything within their abilities to ensure volunteering is fun for the kids. This last year they had a special grant opportunity to provide T-shirts, water bottles, and other fun goodies. They are eager to invest in the future generations of our communities! On top of that, the amount of support, team work, and encouragement I receive from the staff at YVC headquarters is phenomenal. I’ve felt a part of “the team” from day one. My opinions have been valued, my frustrations heard, and joys celebrated. YVC will forever be one of my favorite organizations! When not running YVC programs, Laura can be found substitute teaching and blogging. Nathan Stahley was a team leader for the YVC program in Billings, Montana. He helped launch the program in 2008, and stayed with the program until 2012. We caught up with Nathan and asked him a few questions about how working with YVC youth shaped his life. What is one of your favorite memories as a member of YVC? One of my favorite memories was of a unique summer project we did. We had about ten youth volunteers participate, and the project was a week long. It was a video project where the students brainstormed a topic the first day of the week, and then we did everything from story boarding to filming and editing video. It was very interactive and engaging and students were able to select if they wanted to be behind the camera or in front of it. They chose to focus the short film on examining student perspective of what qualities make for a quality teacher. We held interviews of students to capture their voice. The last day of the project we did a small showing of our film to the parents of YVC students, and we also made plans for teachers to watch the short film that fall. It was a fantastic project for different personalities to engage in a creative way and learn the basics of film making. I really saw some bonding between the YVC members that participated, and they were all passionate about the work we were doing. How did being involved with YVC affect your life/career path? Being involved with YVC was a wonderful learning and growing experience for me. I was lucky enough to be part of starting the program in Billings, MT, through the United Way of Yellowstone County. From helping write the original grant that kick-started the program to growing the program, I felt lucky to be part of that process. After three, nearly four, years of being part of YVC as a leader I left United Way but stayed in the communities working at the local City-County Health Department. The following two years I continued to work directly with youth, focusing on tobacco prevention and suicide prevention efforts. I continue to work in at the health department on these issues. My positive experience working with YVC students really showed me the potential of engaging youth in positive ways. As I have continued to work in Public Health, I have become more familiar with not only how these positive relationships can impact future citizenship, but also how it can prevent chronic disease in adulthood. It is so important to have someone in a youth’s life that can help them navigate stressful situations in a healthy way, and I believe YVC is doing that through service projects led by positive adult role models. What is one of your biggest life events from the past five years? One of the most challenging, but rewarding, changes for me recently has been moving into a management role at the local health department. It has been rewarding to be able to coach and guide a team of five and the work they do to prevent youth tobacco use and address other population-level health concerns. It has been a real change for me, as I have been more removed from the ground level of the work than ever before. I have seen it as an opportunity to apply the different skills I have learned over the years to move programs forward, and I have enjoyed tackling problems with great a great staff. Being able to innovate to address new public health concerns like teen vaping is one of many challenging yet rewarding topics our team has had to address recently. One thing that not everyone may know about me is that I really enjoy music, and when I am not working I am either making music or listening to it (live or on my headphones). I play percussion in a local band, and this last year we have written almost a dozen original songs and played gigs across the community. The creative process with a group of five has been such a valuable experience and form of self-care to help prevent “burnout” from the stresses of work. We are looking at recording some of tracks in 2019 and hope to establish ourselves in the small but growing music scene in Billings, MT. Since I have stayed in Billings, MT, I have continued to support my local YVC when I have the time. In 2018 I joined the Youth Leadership Council for our local YVC to help foster continued youth leadership in our program. Volunteering in this way has been a great way to see the progress YVC has made after I left my formal role in 2012. I would encourage all alumni to find ways to continue your YVC journey no matter where you might be now. 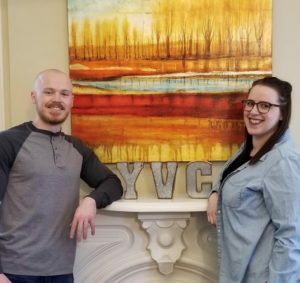 Thank you to Nathan for taking the time to speak with us and share more about his life and how YVC has helped him find his path. Jake and Sydney both started at Youth Volunteer Corps as AmeriCorps VISTAs in late November of 2017. As their terms end at YVC, they reflect on their time and how they’ve grown over the year. We have asked Jake and Sydney to share some of their thoughts and memories as they move forward in their professional careers. Q: What was the most meaningful experience that you had? Sydney: Last year for YVC Day, I joined a YVC project in Kansas City at the Kansas City Community Kitchen. I had such a great time! I had been talking the talk but not walking the walk so to speak, and having the chance to join in on a project, meet YVC youth, and see our impact was really meaningful. Jake: The entirety of Summit was meaningful to me. Since Summit was towards the end of my term, it was really cool to see all of the youth that I had been helping both directly and indirectly for the last year. It really put the scope and importance of YVC into perspective for me. Q: How did you grow from your term? Sydney: In too many ways to list. Perhaps the biggest way I’ve grown is my confidence in myself. YVC pushes you to take on new projects and initiatives that help you grow as a professional (and as a person), and I am much more confident in my spectrum of skills and the assets I can bring to a team. Jake: My skills have grown exponentially since I began my term. I joined YVC fresh out of college with very little experience under my belt, and am now leaving with more new skills than I can even count. I was told by multiple people that I came off as increasingly more confident professionally the longer I worked at YVC. Q: What is one of your favorite memories during your term? Sydney: Going to our national Summit conference in Charleston, SC! I loved meeting all of our incredible affiliates and learning more about the work that they do. It was such a fun, exhausting, and exhilarating trip and I’d go back in a heartbeat. Jake: Definitely making the introduction video for Summit. Sydney and I created the outline and script, and then I was mainly in charge of the filming and editing. We put aside a half-day to get the whole office involved, which was a lot of fun. Q: How has your VISTA term prepared you for future jobs? Sydney: One thing that I loved about my VISTA term is that we weren’t treated like interns – we jumped right in and had the opportunity to tackle “big kahuna” sized projects. I have never felt more prepared for an interview, as I have taken on a wide variety of projects and tasks and can talk about them for as long as a person will allow me. YVC truly cares about your personal and professional growth, and I appreciate that in an employer. Jake: Throughout my VISTA term I have been afforded tons of opportunities to gain the professional experience I have wanted. I plan on moving into a career in advertising after my term has ended, and YVC and VISTA have allowed me to grow whatever skills I need to set me up for success. Sydney: Writing a grant and being awarded $30,000 from it. The day I opened that letter, I almost fell out of my chair I was so excited. Jake: It is a tie between creating websites for our seven new programs in Kansas and Missouri, or the summer youth recruitment plan I created for each of these new sites. I created the websites with almost no web design experience, and the recruitment plan allowed me to work with a budget for the first time, so they were both important projects for me. Q: What will you miss the most when you leave YVC? Sydney: What I’ll miss most is the office culture and the friends I have made. One of the most important things that I have learned is what my ideal office culture looks like: welcoming, supportive, fun, dynamic, motivational – I could go on! My coworkers have become my friends, and I will definitely miss seeing their faces every day. Jake: I’m really going to miss seeing the YVC team every day. It is going to be very difficult for my next job to live up to the wonderful environment YVC has offered. On the bright side, I have made friends with everyone I work with here, so I plan on seeing them a lot more in the future. Q: What advice would you give to new and potential VISTAs who want to work with YVC? Sydney: Probably the hardest part about living as a VISTA is the living allowance – as one who is helping eradicate poverty, your pay is at a poverty level. However, it IS doable (plus the education award at the end of your term to pay for college is SWEET), and I definitely think it’s ultimately worth it. My year at YVC is one I will never regret; I’ve learned so much and have been surrounded by some of the most amazing people I will ever meet. Jake: You should be certain the VISTA lifestyle is for you. A VISTA term can be extremely rewarding, but you should always consider if you are able to make the financial and economic sacrifices necessary to be a VISTA. Sydney: I cannot recommend working at YVC enough. There hasn’t been a day that I’ve woken up in the morning and dreaded going to work, and I think that says a lot. My VISTA term has been one of the most challenging and rewarding experiences in my life, and I am so happy that I had a chance to work here. Now that my term is up, it’s time for someone new to step in have the same opportunity that I did. That person is you! Jake: I just want to thank everyone at YVC for not only being so welcoming and inclusive, but also genuinely supportive and caring of my future endeavors and me. It is rare to find such a perfect group of people that all get along and enjoy each other’s company so much, but that is exactly what YVC is. Everyone at YVC has played a huge role in my professional and personal growth, and for that, I am extremely grateful. YVC is looking for new VISTAs! We hope you consider joining the team. As a youth organization focused on service, we spend a lot of time talking about the great service projects youth do all over North America. They feed the hungry, help shelter animals, build wheelchair ramps, and so much more. However, along the way, they also build relationships that help them grow. We also know this is a two-way streest, as youth volunteers improve the lives of the people they serve and the adults who manage their programs. Around the end of the year, we collect stories and quotes from youth about YVC and the projects they are most proud of. There were two very special stories this year that reminded us that YVC is much more than addressing community needs through service. YVC is a place where relationships have an enormous and lasting impact on the people we become. For Malorie, it was a reflection about Cindy Rose, her YVC program director. Cindy has made such an impact on my life. I would not be standing here today without her and her guidance she has given me. From jokes to laughs to tears, she has been there for me. She has been by my side every moment since I have joined YVC, and her amazing personality makes my experience worthwhile. She has never focused on herself, yet, she does so much for others. She pours her heart and soul into every project and meeting we do. Our YVC would not be the same without her there. She expresses her gratitude to us when she is proud or when we have accomplished great things. She has done so much for us, yet we never do enough back. Cindy and her actions are the definition of a leader. She is such an inspiration, and I look up to her. She motivates us in our social and personal lives. The council she leads has helped me gain confidence and make a difference in my community. For Valencia, she told us about getting hooked on service after hearing a presentation about the program. (One she had not intended to attend!) And becoming an unexpected second-generation YVC volunteer in her family, as her mother was part of the original program when it began 25 years ago. It must have been a sweet surprise when her daughter told her about the program she wanted to join! I got into YVC kind of by accident. My school had an afterschool program, I went for Art Class. One day one of my friends told me and another friend to come and volunteer and help with something for an hour. When we got to the classroom there was a lady there, which turned out to be Eileen. She started telling us about YVC. My two friends left, but I stayed. I got into YVC the fall of my 7th grade year. My first project was cooking dinner at a church. From that moment on, I volunteered whenever I could. I have met a lot of people that have been in YVC for one or more years before me that are still in it. When new volunteers showed up this year I started feeling old for being here for over four years already, and I’m quite in shock I hit 500 hours this year. It really started as something to keep me busy, but it has become a part of me. Fun fact, my mother was a volunteer for YVC when it was started in Muskogee, and she volunteered for two years at the projects we replicated this year for our 25th anniversary, which I think is pretty great. We should never underestimate the role relationships play in shaping our lives and the people we become. Maybe this would be a good time to think about someone who changed your life and let them know the impact they made. This year’s Youth Volunteer Corps Summit held in Charleston, South Carolina was my very first Summit. My program in St. Louis is brand new and our program director recently moved. So, I was walking into my first Summit with no other volunteers and no program director. I was alone. Everyone else had a program director and other kids that they could hang out with, so it wasn’t easy for me at first. I knew some of the other kids from the IYAB calls, but I had never met any of them in person, and we were all kind of awkward at first. Our first session of the day was an IYAB only meeting, and after that everyone was a little more comfortable. I ended up sitting with a couple of IYAB members in the next session and we quickly became friends. I especially got to know one girl in particular, Sarah. It was so crazy, we literally had so much in common. Once I found friends, it made Summit so much fun! We walked to the Urban Farm (which was so cool!) and I learned so much. We got to build blessing boxes, pallet gardens, and learn all about the plants that they had at the farm. It was cool to meet a lot of the other kids from all over during the service project. After the Urban Farm we had an IYAB dinner, which was so fun too! I got to know more of the IYAB members personally, AND we got ice cream! It was so interesting to hear about how everyone’s lives were so different, yet how we had so many things in common. The next day was super informative. I tried to go to as many Vikki Clark sessions as I could, because who wouldn’t? She’s amazing. I learned about goal-setting and empathy and it was really cool to see how she worked that in with our volunteer work. Next, I went to the Planning a Project session, which was probably one of my favorite sessions. It was SO fun being able to be creative and come up with our own ways to address a problem in the community, and actually planning for it with a budget and all. That night, we had an awards ceremony and dinner where we recognized the accomplishments of all the amazing youth volunteers and program directors. I sat at a table with none other than THE Vicki Clark herself, so that was pretty great. After that, I hung out with my friends until 12:45 AM, which was pretty rough considering I had to wake up at 4:00 AM for my flight. It was all worth it and I wouldn’t trade a second of it. I walked into Summit not really knowing anyone, and I came out with some great friends.